Sum-up of the wedding vibe: Our wedding was a laid-back but classy weekend getaway at a glamp resort, with a ceremony on a hilltop, cozy campfires and cabins, dancing under the stars, and never-ending booze. We spent the majority of our budget on the venue (site fee and on-site accommodations for ourselves and family), as well as ensuring our guests were well-fed and had a never-ending flow of drinks. It was really important to us to have everyone in one place for the whole weekend, and so we loved that our venue was able to accommodate all 150 of our guests on site, which really set the tone for the weekend. Moreover, our venue’s catering team came through with delicious buffets for our Friday rehearsal dinner, cocktail hour, and reception dinner. Lastly, photography and videography were also splurges, but something we didn’t want to cut corners on. As we expected, Evangeline Lane and Jeremy Foster delivered beautiful memories of our day, which we were also able to share with loved ones that were unable to attend. Lastly, another huge cost saver in terms of rentals was incorporating compostable bamboo dishware and flatware wherever we could, such as cocktail hour, Friday rehearsal dinner, and reception dessert, and reserved the fancier dishware rentals for the reception. We felt these were a good balance between classy, convenient, and eco-friendly for an outdoor, campground wedding. We decided not to have an official wedding party and instead had our two brothers stand up at the altar with us. 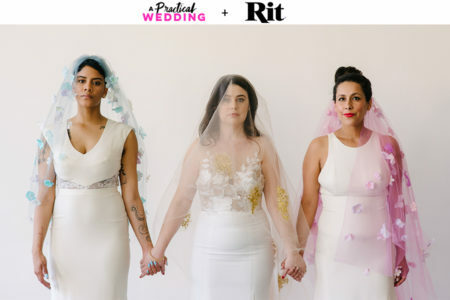 Not having to find or coordinate outfits that would make everyone happy, bouquet costs, or manage a big group of people the day of saved us a ton of money and energy. At the same time we were still able to involve our friends in meaningful ways. Also, outsourcing tasks that I could have tried to DIY, such as florals and the DJ, saved us a lot of hassle in terms of logistics and helped keep us (and potential volunteers) sane. Instead we were able to spend the weekend actually enjoying ourselves, and the pros did an excellent job. Our DJ created an awesome energy on the dance floor, and I’ll always remember dancing with my whole family! Overall, I’m pretty happy with how we used our budget, but I wish I could take back any time I spent researching table runners for our welcome table, purchasing a guest book, or looking for cuter flatware or dishware rentals. I wish I also spent less time changing dresses during the reception and more time mingling with my guests. 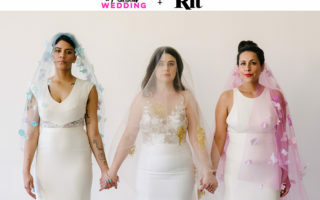 We have talented and generous friends who served as our hair and makeup artists, officiant, emcees, and calligraphy artists, which helped us save and ultimately made the day more meaningful and personal. Our families were also generous with their financial support and low-maintenance in terms of must-have traditions or expectations. Our planner was creative and supportive in helping us craft a wedding program that fit our preferences, i.e., how to not have a first dance or how to incorporate a Chinese tea ceremony. Be realistic. We initially spent a lot of emotional energy balking at the cost of weddings, when really it just takes a lot of resources to properly host and feed 150-plus guests. Knowing what was important to us, and not cutting corners on those elements, allowed us to let go of non-essential, industry hype details, and use our resources (time, money, and energy!) to the fullest while maintaining our sanity throughout the whole process. We also got a lot of great ideas off of APW, and we were able to save a ton through finding affordable sites for our tote-bag favors and Mexican blankets, and by using Kinkos for any printing. I’m happiest that I didn’t feel frazzled throughout the weekend, since by then the big things were already taken care of, pros and friends had been delegated, and we could just roll with any small thing that went wrong. Luckily, most things went according to plan. Ultimately, having all our loved ones in one place was definitely worth it.